OG claimed victory over Team Liquid today in Manila to become the first team to win two Valve Dota 2 Majors since the tournaments began. Want to start your road to the next Valve Major? Here are the best Dota 2 heroes for beginners. After defeating Newbee this morning, Team Liquid progressed to the final to face OG in what would prove to be a 3-1 series and an extremely close-fought fourth game. 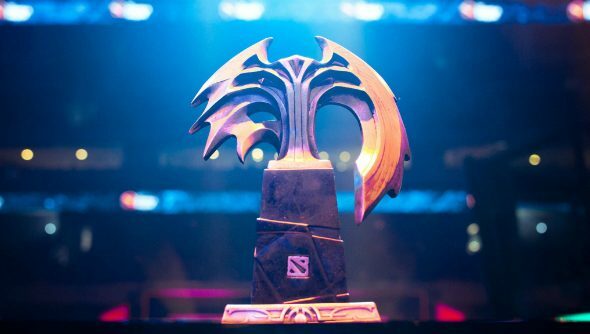 OG, who won the first of the newly implemented Valve Majors in Frankfurt last October, takes home the $1.1 million top prize, while Liquid settle for their second runner-up placing and $405,000. Liquid forced their way to the final through the lower bracket after being knocked down on the opening day of the playoffs by MVP Phoenix. Every match from that point went 2-0 in Liquid’s favour, and off the back of a win at last month’s Epicenter in Russia, they seemed a strong match for OG. The team now sets their sights on The International in August, which currently features an $11 million prize pool and will continue climbing as last year’s crowd-funded pool reached more than $18 million.